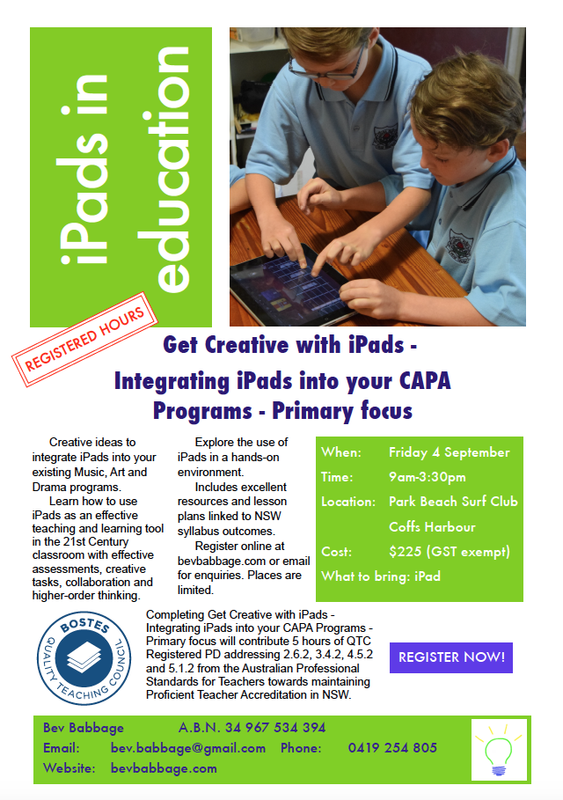 Registration is now open for Get Creative with iPads – Integrating iPads into your CAPA Programs – Primary Focus in Coffs Harbour on Friday 4 September. Click on image for flyer. 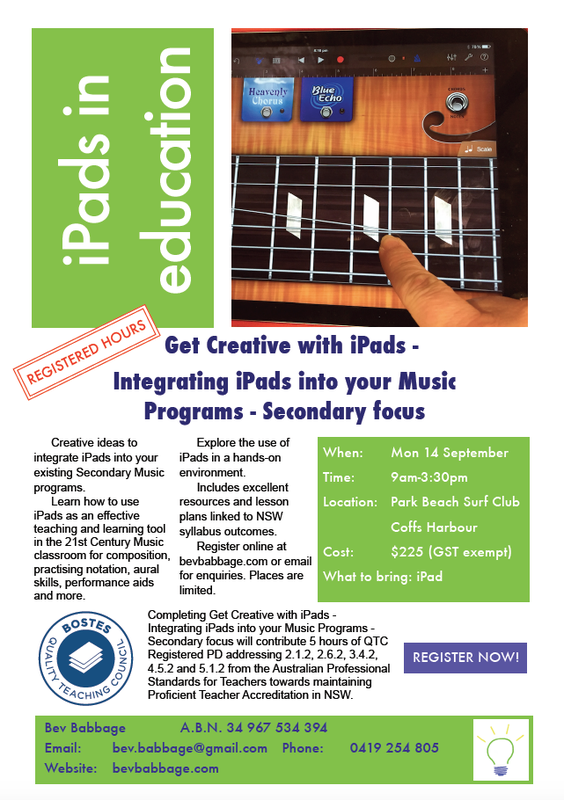 Registration is now open for Get Creative with iPads – Integrating iPads into your Music Programs – Secondary Focus in Coffs Harbour on Monday 14 September. Click on image for flyer.